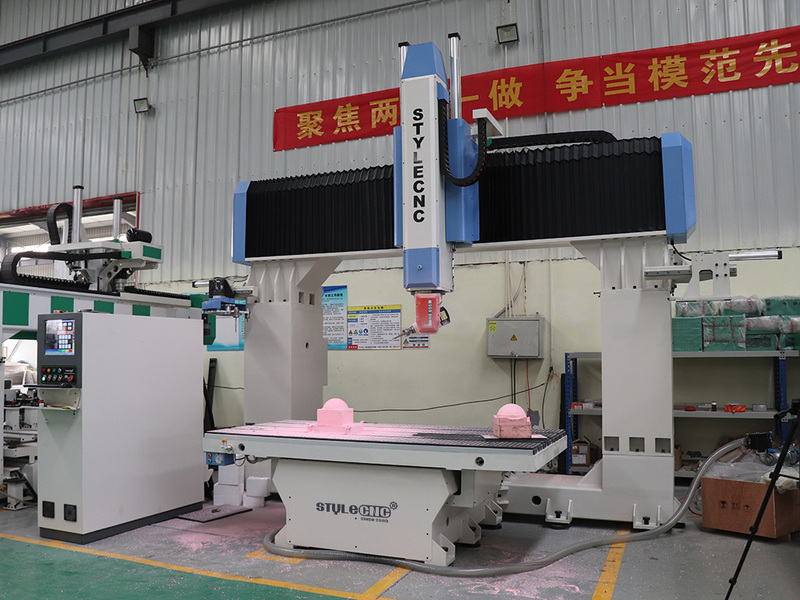 The best 5 axis CNC router is designed for 3D modeling and 3D mold making, such as large metalloid moulds, automotive foam mold, building model, ship model, 3D surface carving and 3D shape cutting of large-scale instruments, now the affordable 5 axis CNC router for sale with best price. 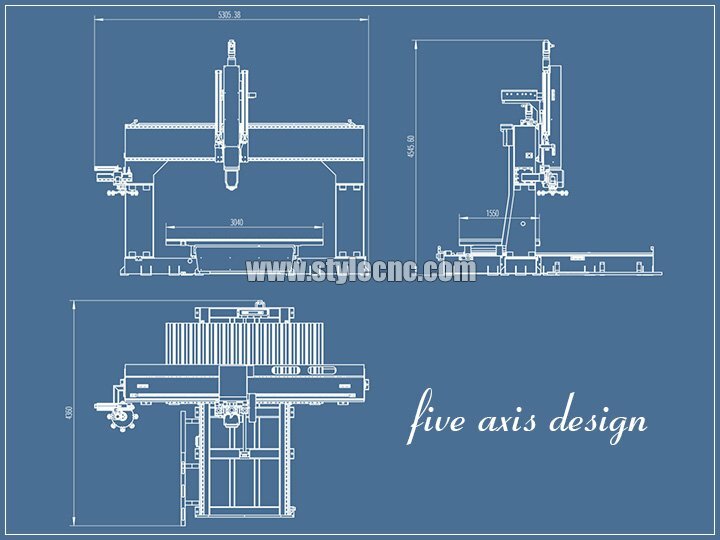 5 axis CNC router is somewhat like the 3, 4 axis CNC router, but it has two additional axis they can move along. 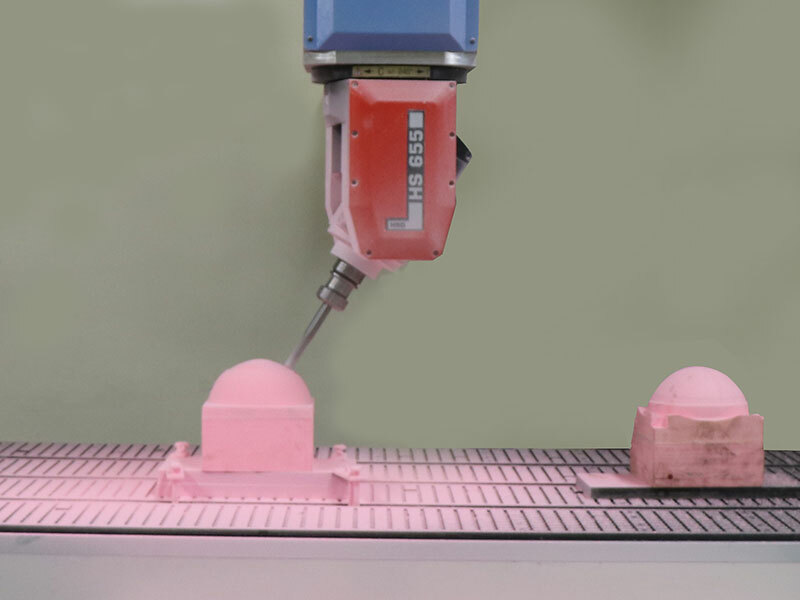 The two additional axis allow for shorter project time due to their capability of cutting five edges of the material simultaneously. 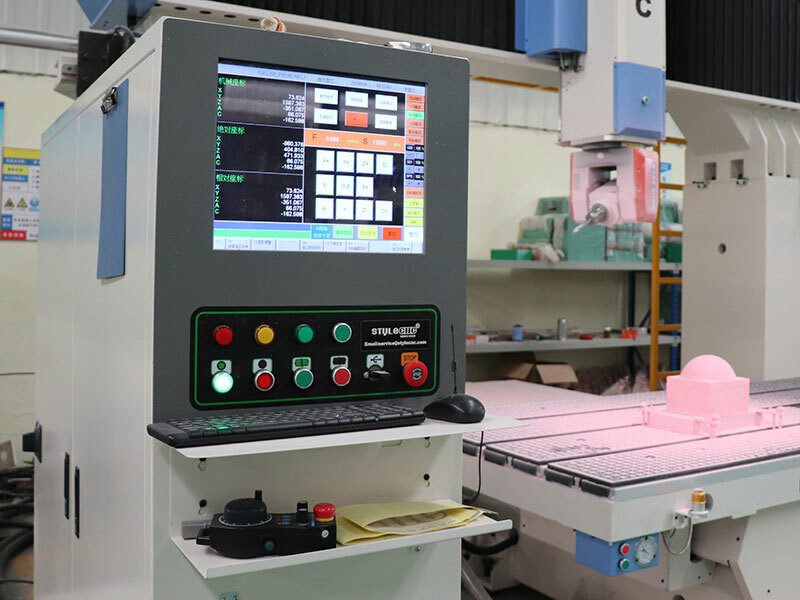 However, due to the fact that the 5 axis CNC router machine has a longer X-axis, it makes for less stability and accuracy-potentially requiring more of your attention than a 3, 4 axis CNC router. 1. 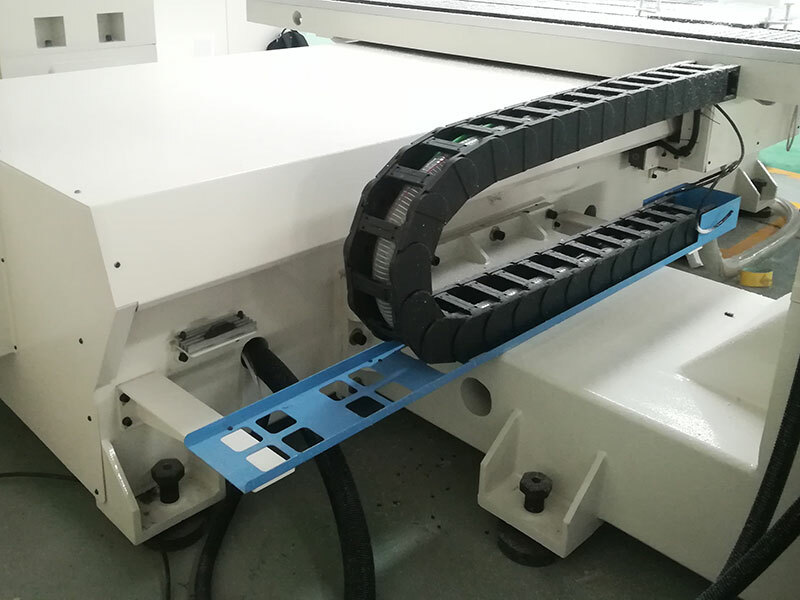 Diversified Control: Processing speed can control the working speed, traveling speed and dropping tool speed, which will improve the quality and efficiency greatly. 2. Humanized and beautiful design: Breakpoint specific memory to keep the carving status when power off, processing time forcast and other functions in case of the accidental power outages. Stop Emergency Buttons, emergent shutdown during unexpected accidents and do no harm to human. The intelligent processing cross-border protection function can prevent the excessive process caused by mechanical collision. Colorful machines' appearances and high-quality paint make the machine beautiful. 3. 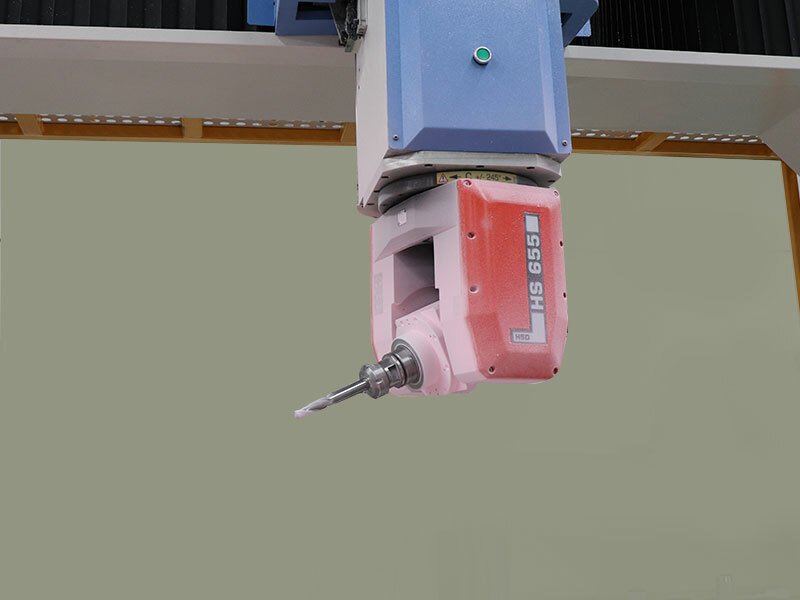 Strong 5 axis CNC machine body: reliable and durable with long working life. 4. 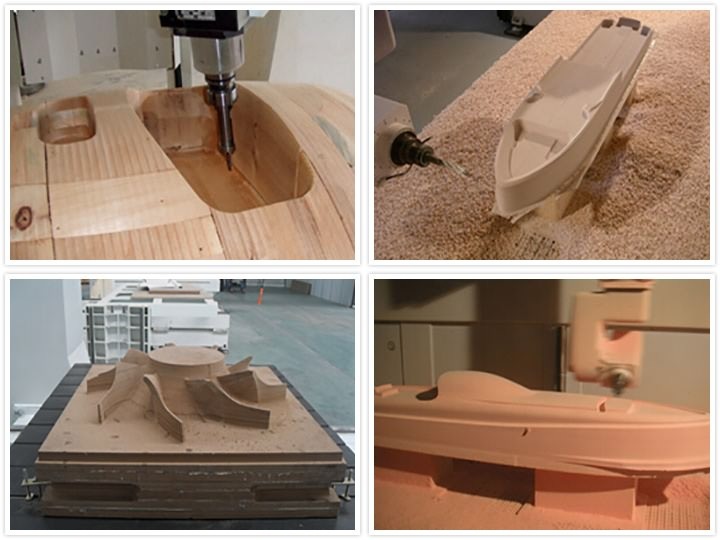 Top-quality components will make the 5 axis CNC router machine with high-precision and high-efficiency. 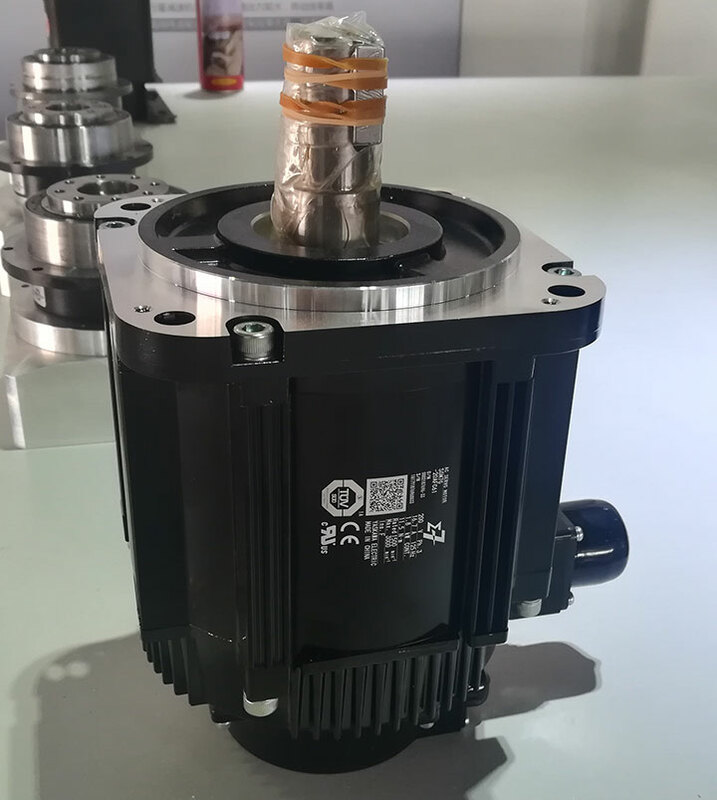 HSD ATC spindle, Delta inverter, TBI ball screw, Yaskawa servo motors, OSAI control system and so on, all of these components will keep the machine in the best condition even after working for many years. 5. Easy and safe operation, low maintenance cost. You will quickly learn how to operate the machine safely, and free training in our factory will be offered. 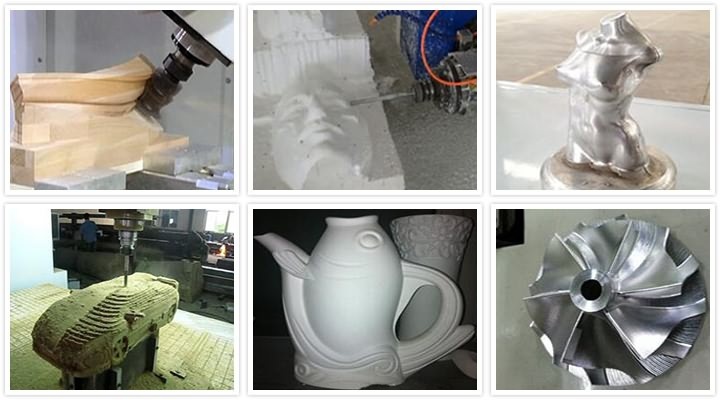 Less time and less money will be cost on the maintance because of the top quality of the 5 axis CNC router machine. 6. Many optional configurations and OEM services are available. According to your requirements, different configurations will be offered. OEM service is available for you. 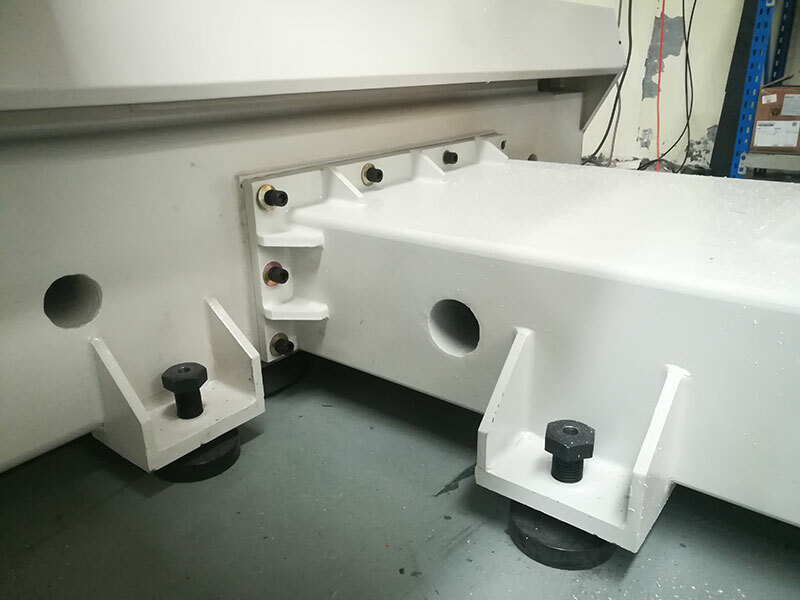 Mold industry: Large metalloid moulds, automotive foam mold, building model, wooden ship model, wooden model aviation, rail wooden mold and wooden mold train. 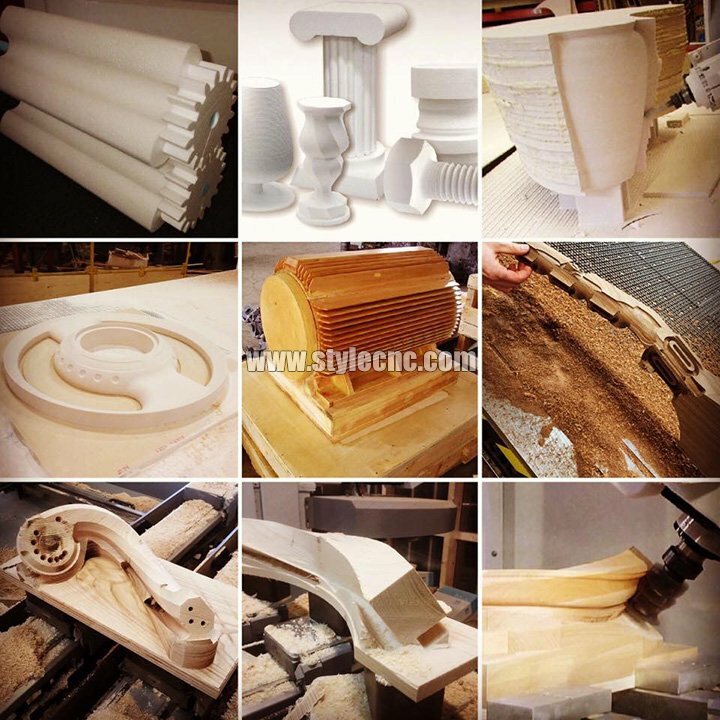 Instrument industry: 3D surface carving and 3D shape cutting of large-scale instruments. 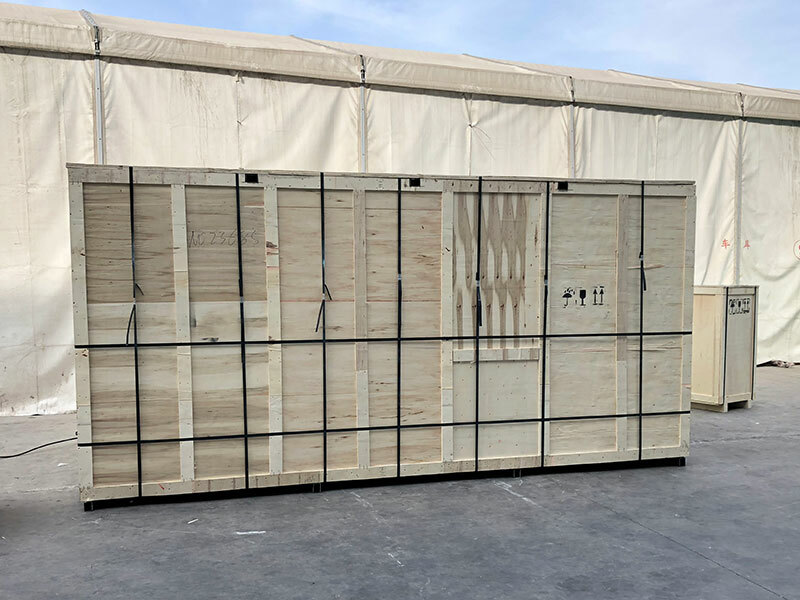 Furniture industry: Cabinet door, wooden door, solid wood furniture, stereo box, computer desk, game cabinets, etc. Decoration industry: Acrylic, PVC, density board, stone, organic glass, aluminum and copper, etc. 1. 10KW Italian HSD Spindle (HS655-ES789): High precision and great strength. 4. TBI ball screw from Taiwan. 6. OSAI control system: Simple operation, good independence, of course, you have the option: Taiwan SYNTEC control system. 7. Japan YASKAWA servo motor driver: It has steady working capability and high positioning precision. 1. 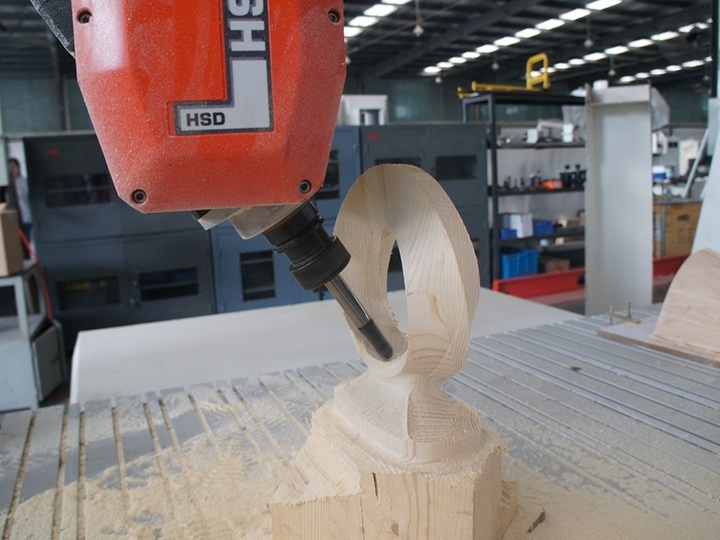 Does the best 5 axis CNC router include the software? Yes, we adopts the professional SYNTEC or OSAI software for our 5 axis CNC router, the user manual and software CD will be in the package. 2. 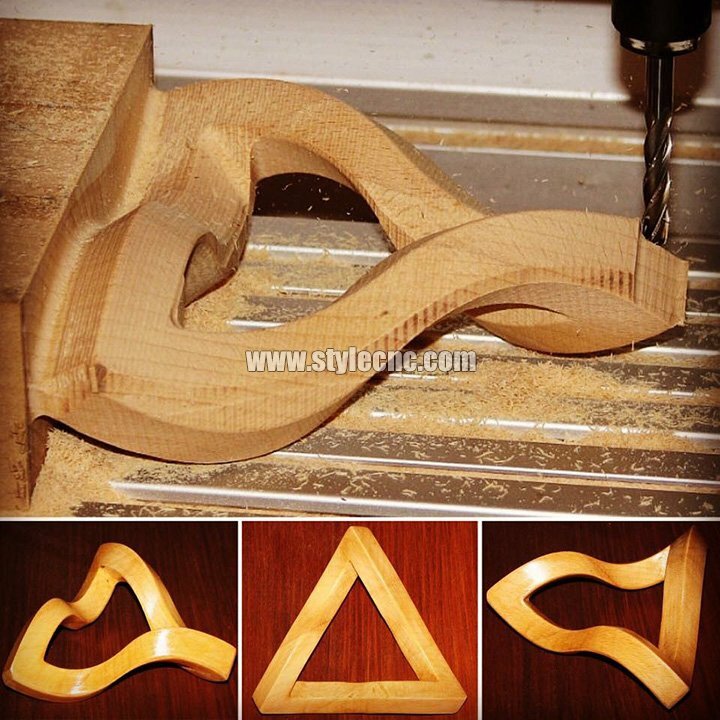 Can I get free training for the 5 axis CNC router? 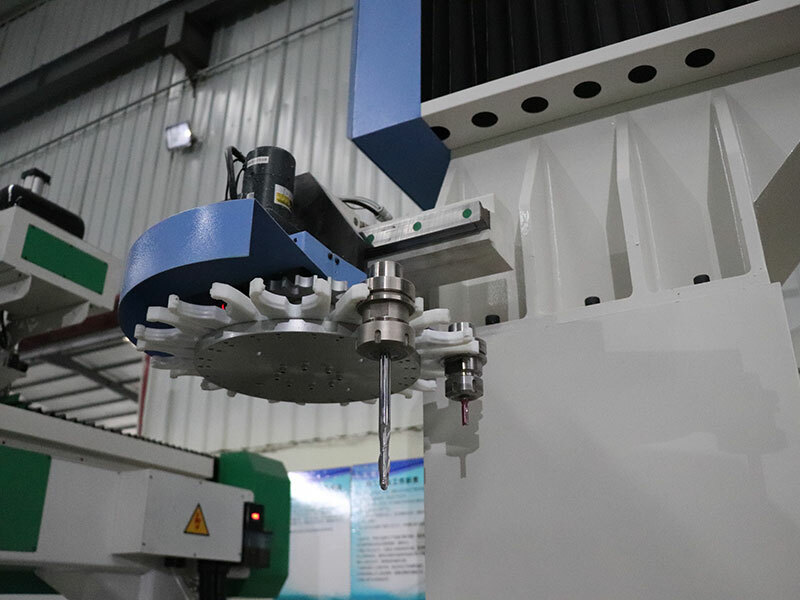 Of course, you can get free training in our factory and we can also send our technicians to your factory to tech you how to install and operate the 5 axis CNC router machine. 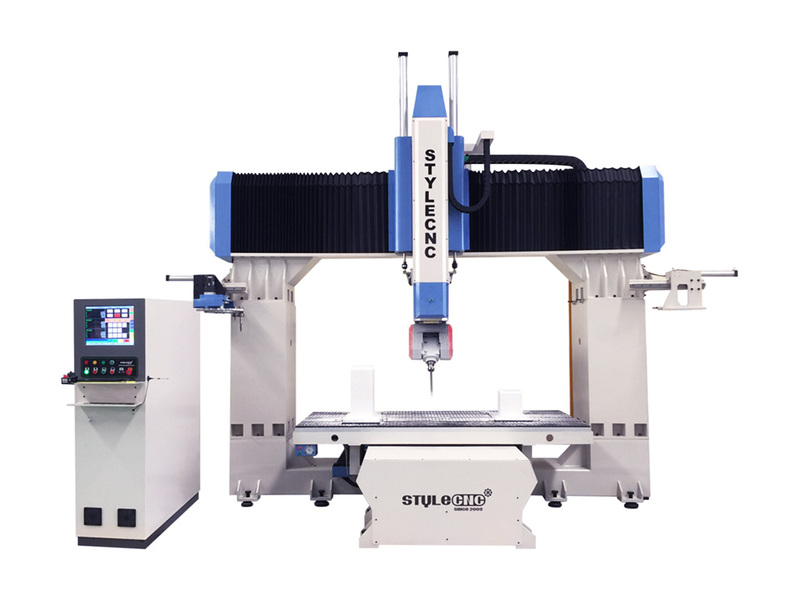 License: The text of "Affordable 5 Axis CNC Router for sale with best price" by STYLECNC is licensed under a Creative Commons Attribution 4.0 International License.